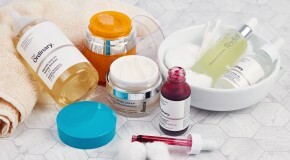 Between marketing jargon and ingredients labels, the world of skincare can be a little bit confusing… Especially when terms like ‘hypoallergenic’ and ‘AHAs’ start popping up all over your Instagram feed – skincare is all fun, games, and face masks until people start throwing around weird terminology. So, what do they actually mean? To get you up to speed, we’ve put together a crib sheet vocab lesson featuring the top terms and ingredients YOU see as you scroll and tap. Organic refers to ingredients that are organically farmed (without the use of pesticides or fertilisers), sustainably-sourced, and use only natural colour and fragrance. Vegan beauty products do not contain any animal products, animal by-products, or animal derivatives. Cruelty-free is used to describe beauty products that are not tested on animals. ‘Natural’ is an unregulated term in the industry but it technically means that a product is made without synthetic ingredients. When you look at the ingredients list on a product, they’re listed from highest quantities to lowest. You’ll either see oil or water (aqua) in the first few ingredients on there because they typically make up the base of a product formulation. If a product contains both then the one that comes first is the base ingredient. Here’s an example of an oil-based moisturiser and here’s an example of a water-based moisturiser. Hypoallergenic means that a product won’t cause an allergic response in most people. Most products are tested for this via a patch test which determines whether the product causes sensitisation or other reactions. Free radicals are unstable molecules which are found everywhere in the air but are triggered by sunlight, pollution, and smoking. They cause visible aging in skin by attaching themselves to healthy cells, which then turns the healthy cell into a free radical. This has a domino effect which eventually results in damaged tissue. Antioxidants have the ability to neutralise free radicals. They do this by binding on to free radicals which in turn prevents the free radicals from binding on to (and damaging) healthy cells. 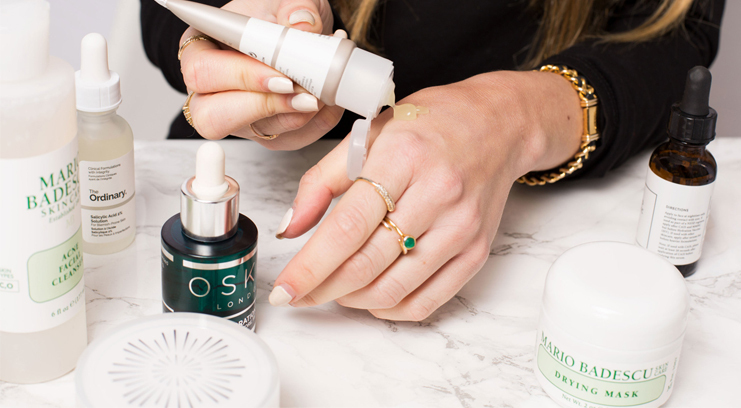 The best way to administer antioxidants is via a serum. Non-comedogenic products are formulated specifically without ingredients that are known to clog pores and cause acne. Pores are tiny openings found all over the skin which allow oil produced beneath the skin to rise to the surface and moisturise the skin’s surface. Contrary to popular belief, it’s impossible to ‘erase pores’, but you can make them less obvious by exfoliating to make sure they don’t become blocked and turn into blackheads. Blackheads form when a pore becomes clogged with sebum and dead skin cells. 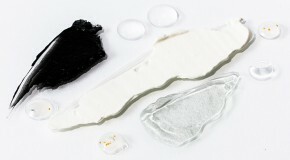 This forms a bump known as a whitehead – when the skin over the bump opens, exposure to the air causes it to turn black, hence the name ‘blackhead’. The best way to get rid of and prevent blackheads is with regular exfoliation. Technically chemical and physical exfoliants do the same thing, just in very different ways. Physical exfoliation involves a product with a grainy texture or a brush to buff the surface of your skin – they need to be handled gently, and aren’t as effective as chemical exfoliation. Chemical exfoliants are liquids which use AHAs/BHAs/PHAs to remove dead skin cells – because the molecules in the chemicals are small, they can penetrate deeper. 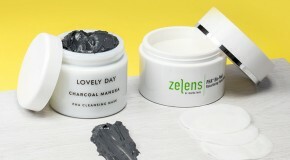 These are all chemical exfoliants which can minimise acne, pigmentation, scarring, and fine lines. AHAs (like glycolic and lactic acids) work by dissolving the upper layer of dead skin cells. BHAs (like salicylic acid) not only exfoliate the top layer of skin, but also penetrate pores to dissolve sebum and dead skin cells. PHAs work like AHAs but have larger molecules, so cannot penetrate skin as deeply. Instead, they work on the skin’s surface, and are suited to sensitive skin as they cause the least irritation. To be classed as ‘active’, an ingredient has to trigger a noticeable effect on the skin and cause a physical change. A common example is retinol. Ceramides are oils naturally found in the skin which strengthen the skin by forming a protective layer to reduce moisture loss and protect against damage from free radicals. As we age, the effectiveness of our skin’s ceramides reduces, which weakens the skin’s barrier, resulting in dry, dehydrated skin. Essential oils are highly concentrated versions of the natural oils found in plants. They carry the characteristics, fragrance, and properties of the plants they come from.